Things have been quite busy since my last post, and I'm long overdue for an update! 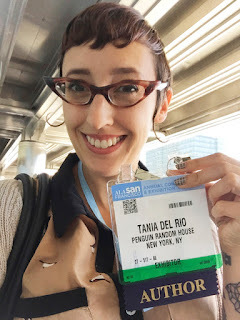 In June I went to the ALA Annual Conference in San Francisco, which happens to be one of my favorite cities to visit. I was also pretty stoked about the very official looking badge I got to wear. Have you ever seen so many librarians in one place before? 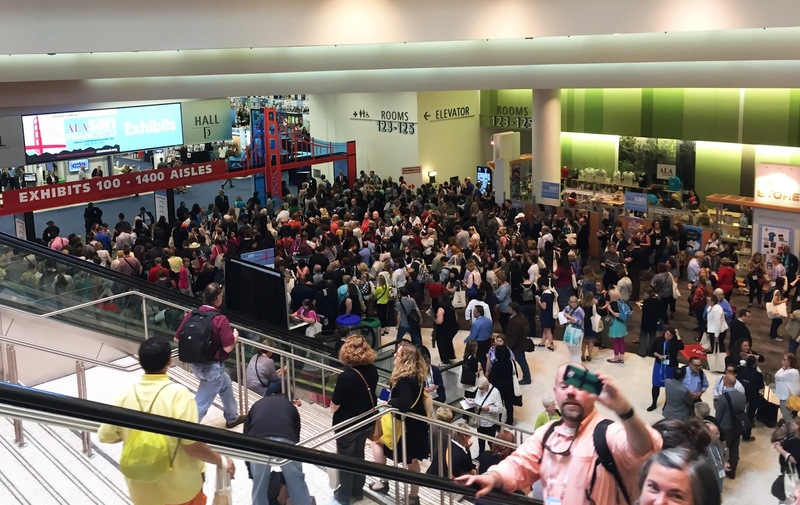 And because it was a book convention, practically every booth on the exhibit floor had free ARCs to hand out. I was in heaven! This is pretty much how I looked walking down the aisles. I tried to contain myself because I only had one carry-on bag, not to mention a huge TBR pile already waiting for me at home. So... how did I do? But, back to Warren the 13th, which is the whole reason I was there in the first place. Check out this sweet ad that Quirk put in the daily ALA program. Woo hoo! During my time at the conference, I had the opportunity to speak on a gender and diversity panel as well as meet with dozens of librarians during an "author speed dating" event where I went from table to table pitching my book. Much like real speed-dating, it was a little awkward and nerve-wracking at first, but everyone seemed to really like the concept and by my 10th table or so, I had my elevator pitch down pat. 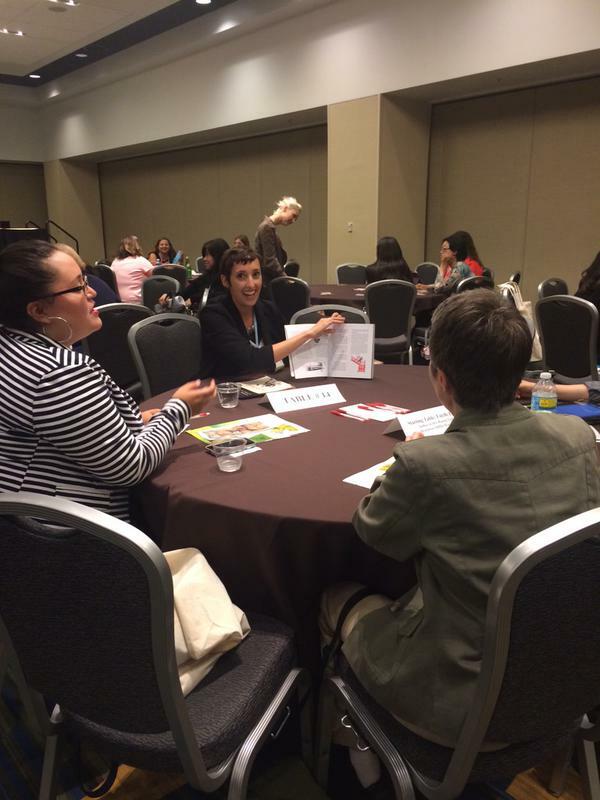 Here's a pic of me in action taken by Quirk publicity/marketing extraordinaire, Nicole. Can I just say again how much I love librarians? Sometimes I feel down when I read depressing articles about how print is dying, or how no-one reads anymore. But being surrounded by so many passionate people who care so much about books and their readers really made my week. As long as we have people like that around, I don't think our society will ever abandon books. Librarians truly are the stewards of literacy. (And they're all really nice too). After the conference I even had a little time to do some sight-seeing and enjoy some oysters on the wharf! Yummm. 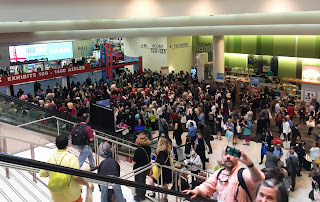 In July I went to San Diego Comic Con where I got to meet up with Quirk publisher Jason and president Brett as well as a group from Penguin Random House for a terrifying night of escaping zombies at The Walking Dead Escape at Petco Park. I have to say I was doing pretty well until a clown zombie jumped out at me. I AM NOT OKAY WITH CLOWNS. I was too busy running for my life to grab a pic during the action, but here's a great photo of everyone at the end of the run. We survived! During my time at SDCC I also got to see my Archie family, including Bill Galvan who illustrated Diary of a Girl Next Door: Betty, which I wrote last year. Here we are, along with Bill's daughter, who is also a big fan of our book and an aspiring writer, herself! And just because, here is a rad biker dog that I spotted outside the convention center. 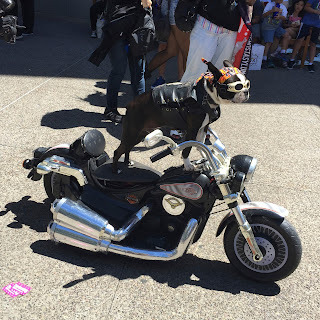 Every year I see at least one amazing dog in costume, and this was one my my favorite sightings yet. In August it was back to work. After completing an outline for the 2nd book in the Warren series (the name of which I can't yet reveal! ), I moved onto the fun part - actually writing it! I was also very busy packing and getting ready to move. For the last 8 years I've lived in Venice Beach, but it was time for a change of scenery (and my landlords were selling my place, so I had to leave my cozy nest one way or another). I am now a resident of Pasadena, California! It's only about 45 minutes away from Venice (without traffic... which, let's face it, is almost never), but it feels like a whole new city. The sad thing is being so far away from Dunkin' Donuts. If you need to know one thing about me, it's that I am a Dunkin' Donuts fanatic. Don't believe me? I was selected as Dunkin's September fan of the month. BEHOLD! I waited patiently for years for Dunkin' to open in L.A, and when it finally did, I waited patiently for hours to get my first coffee there. It's become a daily habit for me, getting a medium hot coffee with cream and sugar to help me face the world. 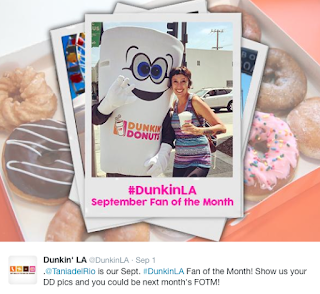 Of course I would be awarded fan of the month ON THE DAY that I move away from Dunkin' Donuts. It's tragic. But, on the plus side, Pasadena has a lot of other great things to offer and I've been having fun exploring my new neighborhood. The BEST part about being in Pasadena is living near two of my favorite places. The first is one of the best indie booksellers in LA, Vroman's! The other is the Huntington Library Botanical Gardens where I love to go and write. So, if you need to find me, that's where I'll be. 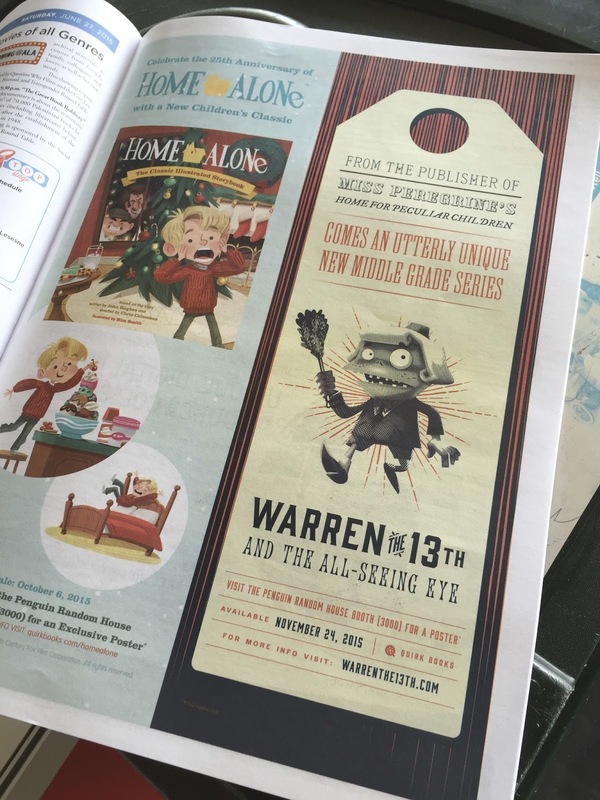 Speaking of - If you're local to Los Angeles, mark the date November 30th for my Warren the 13th launch party! I'll post more details as we get closer to the date. You can also sign up for my new newsletter which will go directly to your inbox once a month with news, giveaways and other fun goodies. Now it's back to work for me... I've got a book to finish!